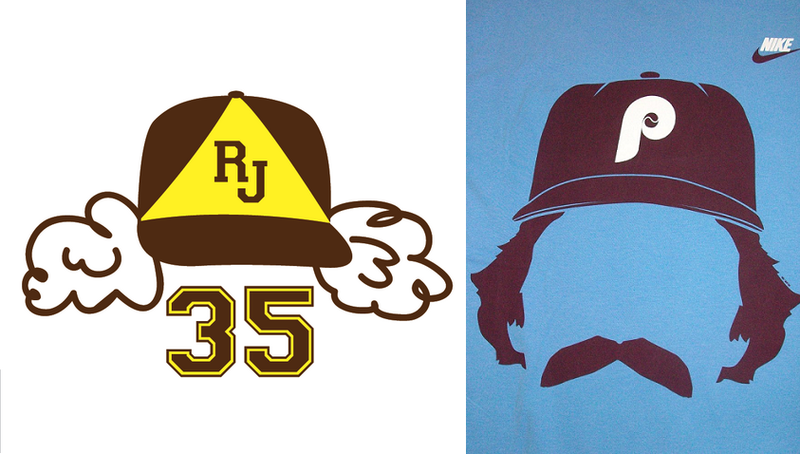 Better MLB White Guy Fro: Randy Jones or Mike Schmidt? So, I just got blown up for suggesting that Mike Schmidt has the best white guy fro in baseball history. Listen, I could be a homer and just say that Randy Jones wins the fro competition, hand down, no contest… but that’s lame. 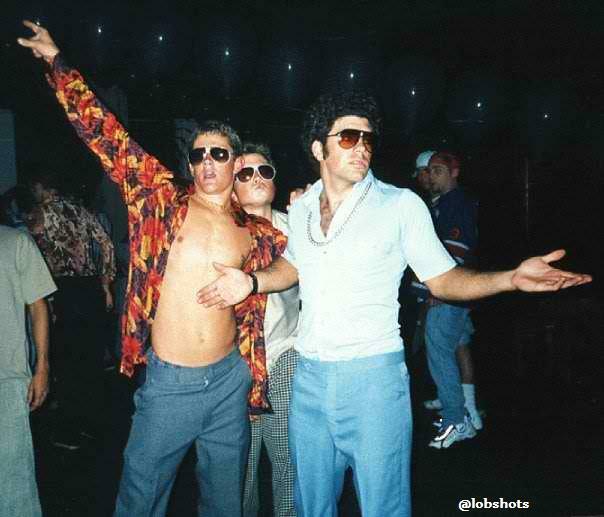 I mean… the picture of Schmidt here, that’s a full bodied fro. Randy’s fro is looking a tiny bit thin in comparison. Clearly Randy is the better looking dude of the two, but that’s not what we’re settling here. On the field, (no I did not go crunch any statistics) after finding this old newspaper clipping… it sure seems like Randy owned Mike. 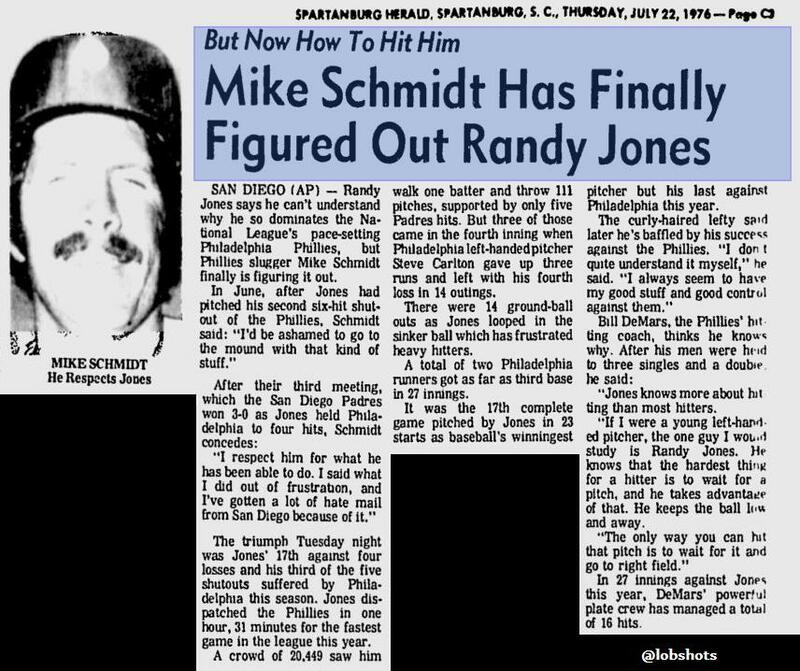 Didn’t even know about Schmidt mouthing off about Randy Jones. Pretty funny. If you go strictly by silhouette logos… well, the winner is clear. RJ’s Fro. So, who ya got in the AFRO category from their playing days? RJ or Schmidt? This entry was posted in Baseball and tagged Mike Schmidt, Mike Schmidt fro, mike schmidt randy jones, Padres, Phillies, Randy Jones, randy jones mike schmidt. Bookmark the permalink.